Q: Please tell me what kind of company the Haltmann Works Company is. A: The general business matter is to mechanize a planet, develop its economy, and plunder its energy resources. After using up the energy of a planet, they move on to the next planet and keep on thriving. Chief employees are responsible for fighting in Invader Armor. Huge laboratory towers are built in various places and there are laboratories which conduct new weapon research, but all leaders apart from Susie are robots that the company president has selected himself. Q: What kind of person is the company president Haltmann? A: He has his livelihood in making inventions and building a company in his lifetime in a far away planet. He has been an ambitious person since a young age, and before he knew he would do anything for the prosperity of the company. He is a cool-headed man. He doesn’t trust people, and there are things about his ambition for prosperity that he doesn’t tell even to Susie. By the way, his favorite food is high class chicken. His hobby is observing celestial bodies and climate. His specialty is numerals and inventions. His treasured item is a golden pocket watch that has stopped running at one point. Q: There are more cut-scenes than in the previous game. Why did you decide to strengthen the story elements? 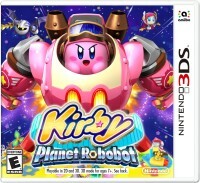 A: In the beginning of the development when the game was still “Kirby Triple Deluxe 2”, we came up with a story of new enemies emerging from the sky in order to enhance Hypernova ability, but I wanted to break away from the deja vu feeling of the previous titles while still being a succession in the series, so the world view was completely changed. Introducing various Robobot Armor improved the action feel from Hypernova, so the story was entirely a means for new action. We got excited and came up with a sci-fi story while making the world more in line with the Robobot Armor. Q: Why is Pop Star being targeted? A: They finally found Pop Star while moving around various galaxies. It seems like they were surprised by how strong an energy resource response they got in comparison to earlier planets. The planet has lovely waters and air, and the amount of unused energy is huge. There are many uncivilized native people and it seems like such a planet has a high value. They started an invasion by taking a foothold in this star while controlling the natives, and also had a plan to mechanize the vicinity of the planet. Q: Please explain the origin of the name Susie [secretary of the invading company]. A: The naming comes from a word “digit” [“suuji” in Japanese] as a symbol of a company which uses technology as a weapon. Also, I wanted to choose a real female name if possible. Susie is used overseas as a nickname and the name fits precisely with the setting of the story, so it was chosen. Initially we had candidates like “Beatrice” and “Melissa” for the name of a mysterious woman. Q: What kind of secretary is Susie? A: She is really excellent as a secretary of the company president. As a secretary, she operates various projects. Commanding the mechanization invasion is one of them. She has a high pride and hates losing. She works hard on any kind of task and completes them perfectly, but outside of work there are also things that she neglects. Her favorite food is ice cream. Her hobbies are karaoke and piano. Her special skill is dressing after five minutes from waking up. Her treasured item is a golden hair ornament which has “H” written on it. Q: What does the company song mean that Susie sings during the game? A: I wanted to express the organizational capability and corporate side of the company in some way, so I created lyrics that fit the theme song of the company. Usual lines wouldn’t leave an impression when Susie makes an appearance, and also lyrics become clear gradually in order to make the player feel the progression of the story. Lyrics hold a meaning of giving praise to the company president, but latter half also has one part which makes you recall a crucial story section. Q: Why does the exterior of Invader Armor change to Robobot Armor when Kirby gets on it? A: The Invader Armor changes its abilities depending on who uses it. When Kirby has it, it gets the characteristic of copying enemies by swallowing them and it transforms into Robobot Armor that can scan enemy abilities. However, even the company didn’t foresee armor’s abilities getting such an elevation when they added the transformation function. 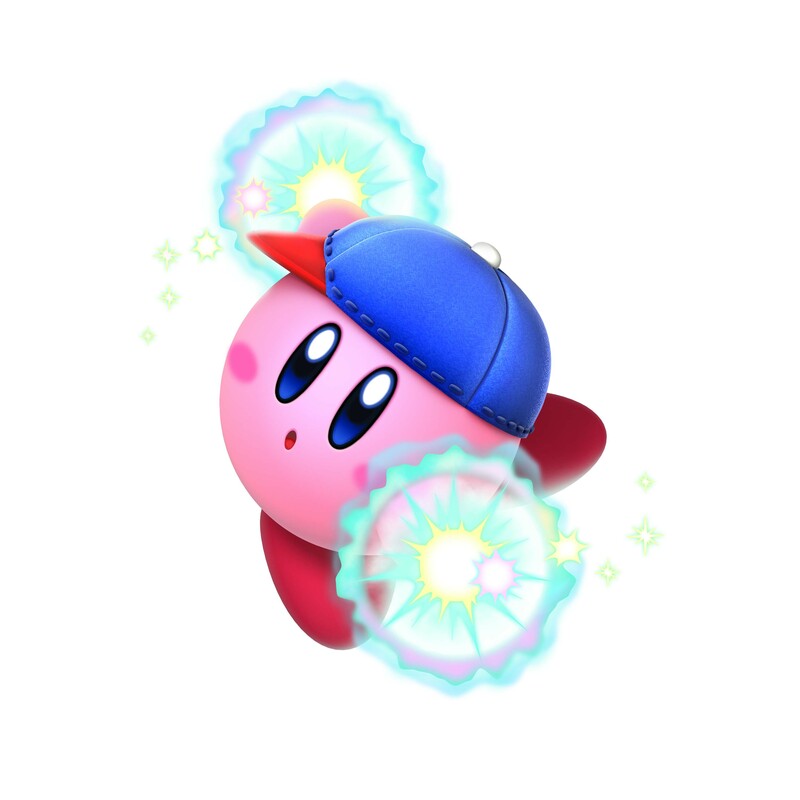 Kirby’s infinite power made the machine overcome its limited capabilities. Q: How were the new copy abilities created? A: Many of the new abilities in the previous title had a fairy-tale like feel, so we thought to create things that feel artificial and sci-fi in order to fit the world of this title. ESP was an ability that I have always wanted to attempt. We aimed for it to be a special thing, and if you time it right, you can deal lots of damage. Q: How were abilities like Jet, Mirror, UFO and Smash Bros., which haven’t appeared in a while, selected? A: Jet and Mirror are abilities that haven’t made an appearance in a long time, so we wanted to revive them in order to respond to hopes of fans. A reason for bringing UFO back is that it fits thematically well with the world of this title. The sense of speed has been increased overall for Jet, and UFO has also seen some fine balance tuning. The Smash Bros. ability is more special. We thought to have some ability that the biggest fans can agree on if Kirby inhales an amiibo from Super Smash Bros. series. This was also revamped from the old ability to the finest points. Bonus! We have a look at a picture of a 3D printed Robobot Armor model that the staff created to check the three-dimensional shape. Even though it doesn’t have any color, you can see that it was created with great effort, like even having a driver’s seat that you can’t see in-game. Also, the model was simply created for reference. Sadly, there are no plans to sell them!